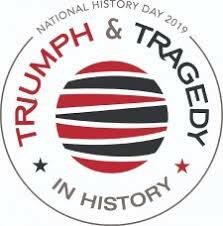 National History Day (NHD) at TCA! See links below and stay-tuned for more info. on the new History Day season coming soon! Check each month for updates! - The NHD WEBSITE is ONLINE ! - Focus on finding & citing both secondary & primary sources. - Begin to take notes on note cards - especially on book sources as they may need to be returned to the library. - Keep up the good work & check due dates to keep on track! - Website and Paper entries due: February 15! !